The Silver Kookaburra in Flight with an all new design! The Kookaburra earned the nicknamed the “bushman’s clock” because of its early dawn and dusk cackling chorus. Native to eastern Australia, the Kookaburra feeds primarily on insects and worms but is also known hunt snakes and other small mammals, making them a friendly site to farmers in the region. The 2018 design features a Kookaburra, wings spread, coming in for a landing with the moon in the background. Struck in one ounce of 99.99% fine silver, each detail is brought to vivid life by the talented artisans at the Perth Mint. On the obverse side, you'll find Ian Rank-Broadley's profile of Her Majesty Queen Elizabeth II along with the denomination of 1 dollar for this official Australia legal tender. This beautiful Kookaburra will arrive to you in Brilliant Uncirculated (BU) condition. One-Ounce of 99.99% fine silver -- The Perth Mint take prides in producing silver coins with a high level of purity. 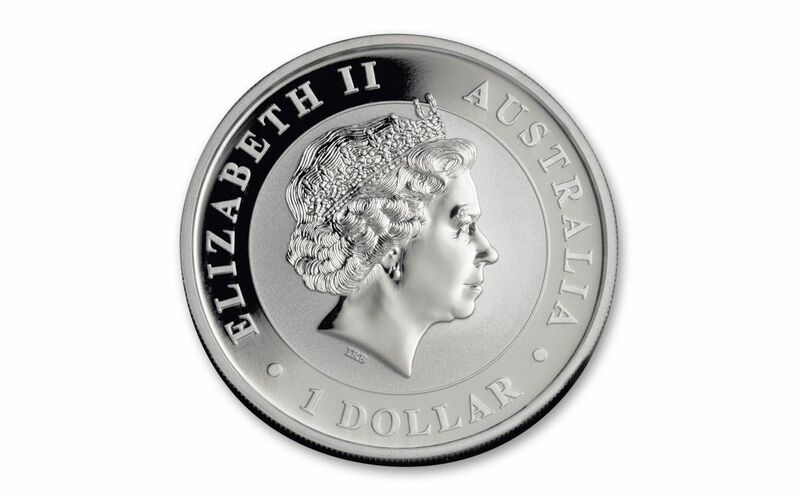 Australian Legal Tender -- Each 2018 1-oz. 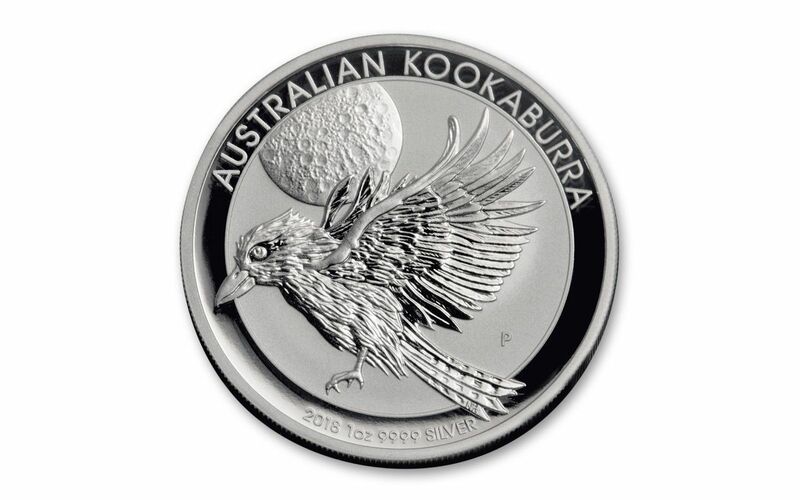 Silver Kookaburra coin is $1 Australian legal tender. Brilliant Uncirculated Condition -- Your coin will arrive in Brilliant Uncirculated (BU) condition, shining brightly just as it did when it left the mint. Certificate of Authenticity – Each coin come in a vinyl flip pouch with the Certificate of Authenticity enclosed. 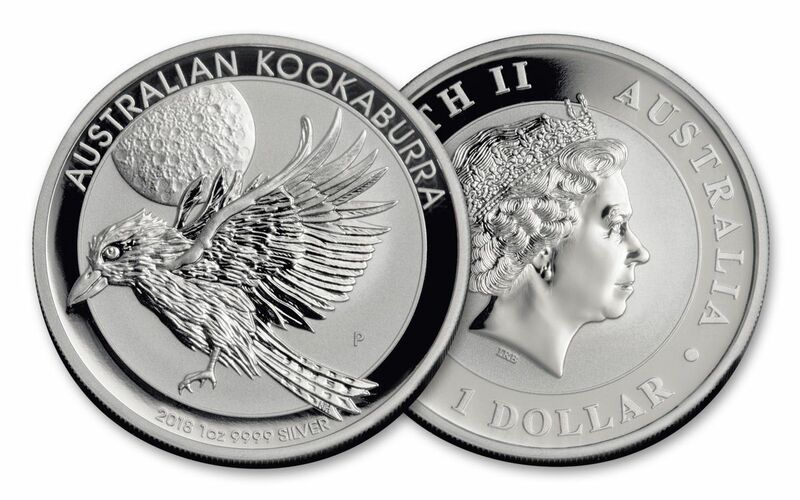 This latest coin in the esteemed Silver Kookaburra series has a limited mintage of only 500,000 coins, creating a great collectible opportunity. Order yours today!